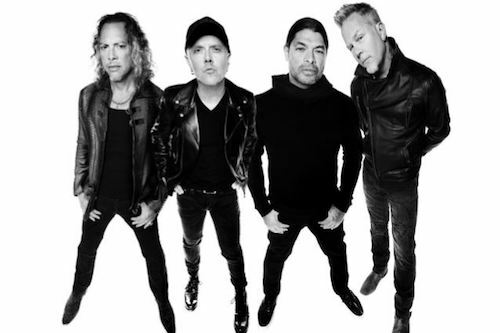 Metallica frontman James Hetfield, guitarist Kirk Hammett, and bassist Robert Trujillo , say they can relate to fans who say Metallica’s music has made a deep connection with them. When asked Boise radio station 100.3 The X Rocks’ host Big J, what it was like when a fan approach(es) them to say that their music had saved their life. Hetfield continues, “That is the ultimate connection – something I’ve felt: Some fear, some anxiety, whatever it may be. My viewpoint of the world is totally off kilter, it’s defective, and then when someone comes up to you and says, ‘What you’ve written down or what you’ve created has helped me’ that’s more of a connection. Trujillo says that music is the “ultimate conduit” and adds “With music, and the magic of music, you’re making people happy. Metallica did not save my life, but I totally get what they are saying. If I did not have music in my life, I don’t know what I would do. Somebody should pass this story on to Eric “it’s only music” Singer. I can relate to every word they just said, I can’t imagine life without music. Doug R.: I agree. Eric Singer plays soulless, the man is a metronome. So, of course, he would just relegate it to “just music”. It’s NEVER been “just music” to me and millions of others. Music is the living breath of the universe. Music has not saved me – but like others on here, I would not know what to do without music. So many talented musicians, songwriters and singers in this world and am in awe of what they do…. The original vinyl just smokes the re-issues…all of ’em…this is not even close!! !